Your fleet’s tires are crucial to your success. Quality tires can keep your vehicles on the road for longer, ensuring you can meet your customer’s stringent deadlines. So, when it comes time to outfit your trucks with a new set, you want to make sure they have the best tires. For fleet managers, the bottom line is a big consideration. A fleet’s worth of tires can be a large, albeit worthwhile, investment. Thankfully, you don’t have to compromise quality for cost or vice versa when it comes to your fleet’s tires. Fleets of all kinds across the world are embracing retread tires as the solution to their fleet’s tire needs. Retread tires not only offer quality but also cost efficiency and safety. Retreading is the process where selected and inspected worn tires, called casings, receive a new tread. This isn’t some careless process of pulling rotting, old tires off a pile and passing them off as-good-as-new. Only carefully selected and structurally sound casings are used for retreads. Once it is determined that the casing is in good condition, the worn tread is buffed off and new tread is bonded in a similar style to the original tire manufacturing process. Each retreaded tire is then tested and must be approved by the manufacturer. The amount of scrutiny each retread tire goes through before being sent out is on par with the inspection of newly manufactured tires. So, any myths about retread tire quality are unfounded. Retreading can be performed multiple times on the same casing, so long as the casing allows for it, and these tires can last just as long as a freshly produced tire. The process of manufacturing a brand-new tire takes quite a bit of time, labor and resources on the part of the producer. 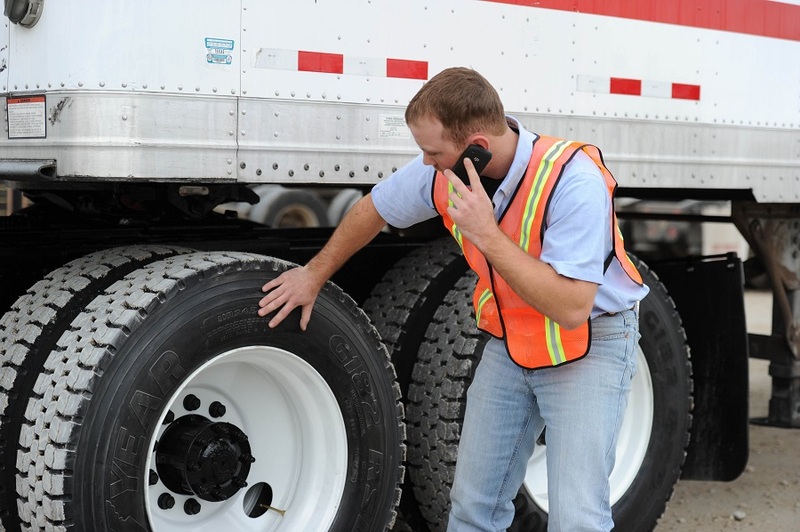 Retreading a tire, however, takes significantly less time and resources on the producer’s part, which results in a savings opportunity for fleet managers. The opportunity to save a significant amount of cash on large tire orders (without giving up quality) is one that is hard to overlook. And one, trends have shown, many are not passing over. Retread tires have begun to be used in large amounts in fleets of all kinds, shapes and sizes like airplanes, school buses, fire trucks, ambulances, trucking fleets and by the military. By using retreaded tires, the commercial and military aircraft industries save more than $100 million a year. Retreading truck tires saves the trucking industry over $3 billion each year. Those are significant numbers in an area that is very important to businesses and managers of industries that rely on fleet vehicles. Raben Tire provides both tire retreading and new tire installation, depending on the needs of your vehicles and your company, and has locations across the Midwest. We offer on-site service, inspection and maintenance for tires and anything else your fleet needs.